Fishing Strike is a great fishing simulator that you can wear in your pocket. This game is made by Netmarble Games and is a brand new action-focused simulator that brings the fishing thrill on a whole new different level. Fishing Strike is a game for all those who enjoy fishing but with better features and swift fishing experience. The graphics and the option that you have in the game are very very impressive and if you are a fishing enthusiast, this will be your new passion. If you are not you will be hooked right away and your hands will not come off from your phone. So, guys, I have an advice for you – get this downloaded on your phone and just start fishing. There are a lot of places and locations with great atmosphere and textures, a lot of boats that you can choose from a lot of equipment and of course a lot of a different kind of fish. From the most exotic to the most common. 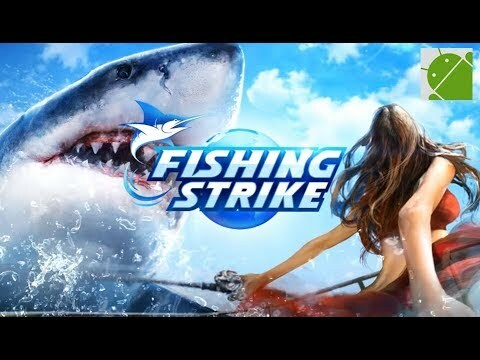 Initially, I was not expecting much from the gameplay of Fishing Strike but as soon as I indulged in its game all my views changed and then there was no stopping me from playing this game. the main focus of the game is to catch quite an extensive variety of Fish and then keep them in the aquarium that you have created. Also, upgrade the boat and the character you are playing along with the Angler skills to boost up your game. As I said there are a lot of places that you need to unlock and explore if you want to catch the biggest variety of fish that will be stored in your aquarium. And don`t be fooled this is not as easy as it sounds. Believe me, you will have to push yourself if you want to complete this challenge. Honestly, maybe you can be a little bored after some time, but hey this is fishing right? Great game for all sport and fishing maniacs, if you are one of them just get it already.